Shopier is highly customizable WooCommerce responsive theme focusing on multi-purpose, such as fashion, beauty, bag, jewelry, perfume, clothing apparel, food, restaurant, furniture, shoes, sports, electronics, vineyard and wine, mega marketplace, glasses, baby kids, bike store, books, digital and much more. 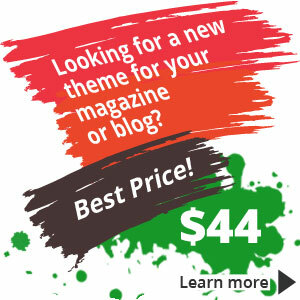 This theme is packed with many different styles of homepages (demos). You get 3 columns, WPML and WooCommerce compatibility, Mega Menu, Easy importing, Multi Homepage + Multi Store + Multi Purpose, well-known premium plugins, like Revolution Slider, Visual Composer. AJAX login support, Newsletter with MailChimp plugin etc. I recommend this theme because of its highly customization and unique predefined homepages.